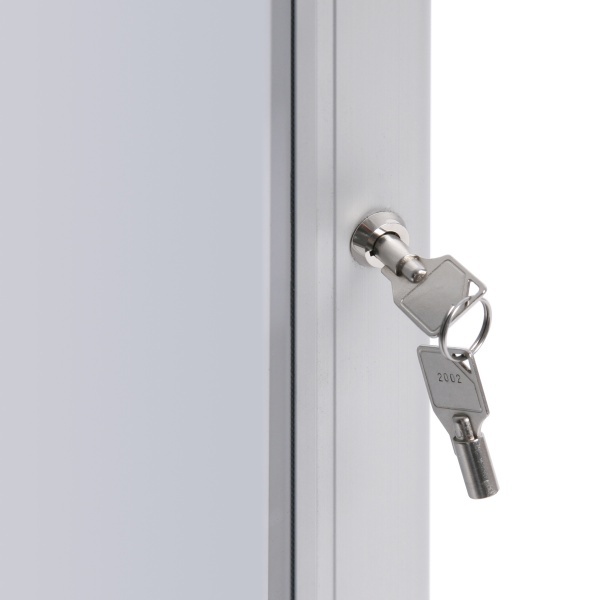 The A4 Menu Box has lockable doors for added security. 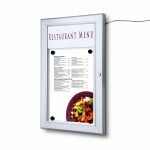 Perfect for outdoors, this weatherproof menu can be orientated side by side or stacked. Standard production: 3-5 working days. The new Outdoor Menu Case is the most secure menu box on offer. 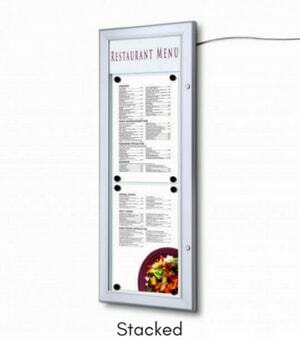 With lockable doors, you can safely present your menu or poster material without anyone getting their hands on them! 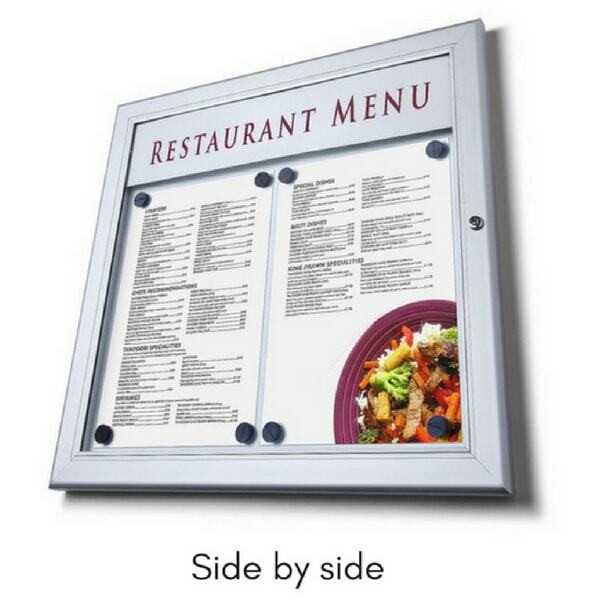 Made from durable aluminium, the menu sign allows two different orientations: two A4 displays side by side, or stacked on top of one another. 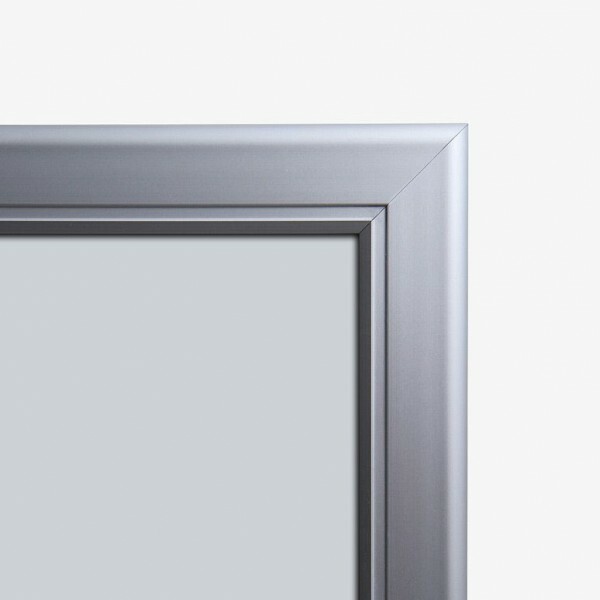 With a professional looking silver finish you can even upgrade your aluminum menu to be backlit so it can be seen at all times. 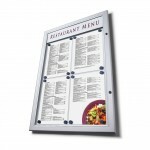 Looking for a larger menu display? 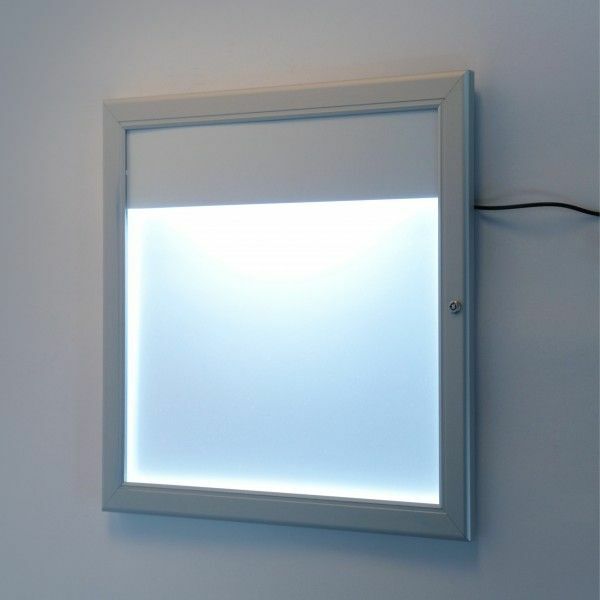 Check out the 4x A4 Illuminated Menu Box. Note: supplied with EU plug and UK adapter – not waterproof, to be connected to a mains socket indoors. Note: The header of the menu is supplied without any branding. Magnets not supplied. 1. Use the allen key to assemble, no other tools are required. 2. 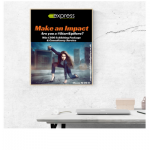 To add your message, pull open the sides of the frame until they stay clicked open. 3. Remove the coverlet which protects your display and replace with new graphic. 4. Add the coverlet again and secure in place by snapping the sides of the frame shut.